Pressed on limited edition blue vinyl! Finally, the wait is over! 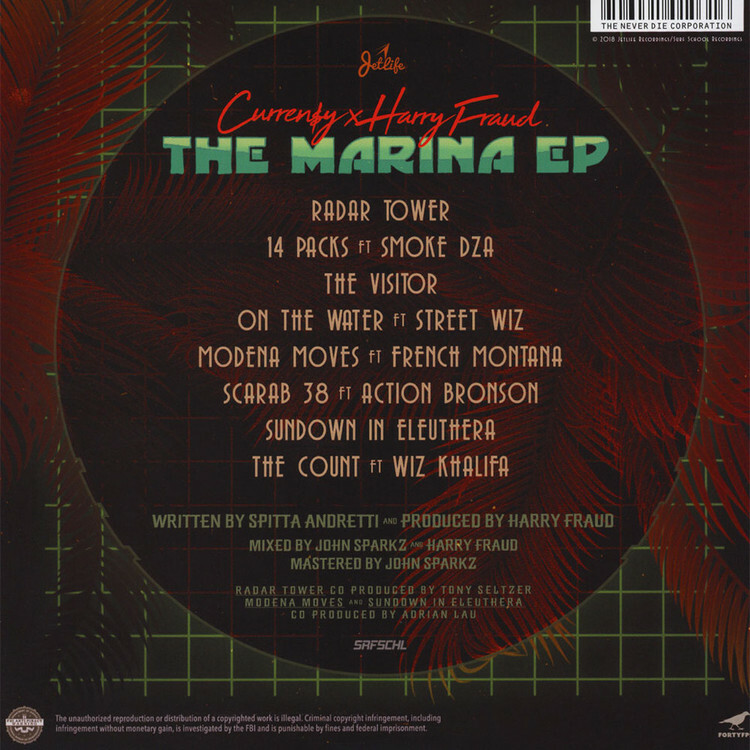 Curren$y and Harry Fraud's new joint effort is here. 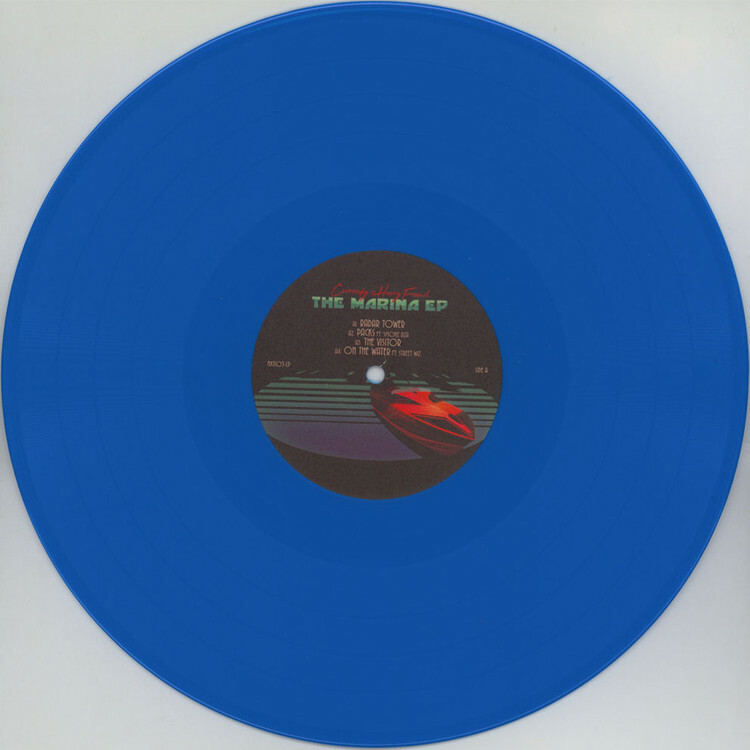 The rapper-producer duo unloaded “The Marina EP”, an eight-track project featuring guest appearances from Wiz Khalifa, French Montana, Action Bronson, Smoke DZA and Street Wiz as a digital release at the end of May, and now it is seeing its way to vinyl. 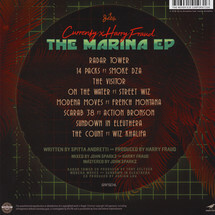 Curren$y (aka Spitta Andretti) and Fraud previously connected on Cigarette Boats, an EP they dropped in 2012 as a Sound Cloud only release. “The Marina” sees their chemistry is still as sharp as ever, with each artist lending what we think are career-best efforts.